Founded in 2014, PACER’s National Parent Center on Transition and Employment builds on PACER’s decades of experience providing high quality assistance and support to parents, youth, and professionals on transition topics. This innovative new project will keep the needs of families at the forefront and help youth with disabilities find success in postsecondary education, employment, and life in the community. A new, cutting-edge website that inspires, educates, and engages families around transition. Technical assistance and training to professionals on best practices for engaging families, including those who are underserved. In-person and online workshops for parents of youth on topics such as assistive technology, postsecondary supports, and finding work in the community. We know that you have high expectations for your youth. PACER’s National Parent Center on Transition and Employment is here to help you on your journey. 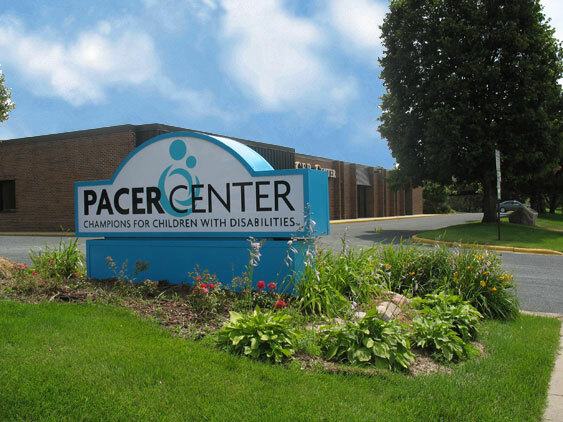 Founded in 1977, PACER Center was created by parents of children and youth with disabilities to help other parents and families facing similar challenges. PACER Center enhances the quality of life and expands opportunities for children, youth, and young adults with all disabilities and their families so each person can reach his or her highest potential. PACER operates on the principles of parents helping parents, supporting families, promoting a safe environment for all children, and working in collaboration with others. With assistance to individual families, workshops, materials for parents and professionals, and leadership in securing a free and appropriate public education for all children, PACER’s work affects and encourages families in Minnesota and across the nation.